The photo id for this photograph is 119, in the People album. Back row - Joe Hughes, Fred Winterbottom, Jess Rowley, Frank Gee. 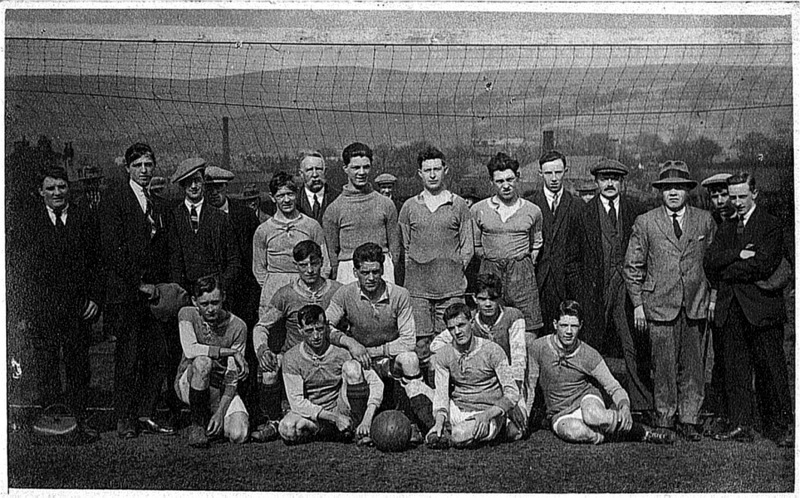 Middle Row - Bill Holford, Jack Winterbottom, Jim Hill. Front row:- Sam Pine, Frank Holford, Fred Parker, Bill Winterbottom. I think we may require confirmation of whether the names above are left to right or right to left as we seem to have a contradiction in the messages.